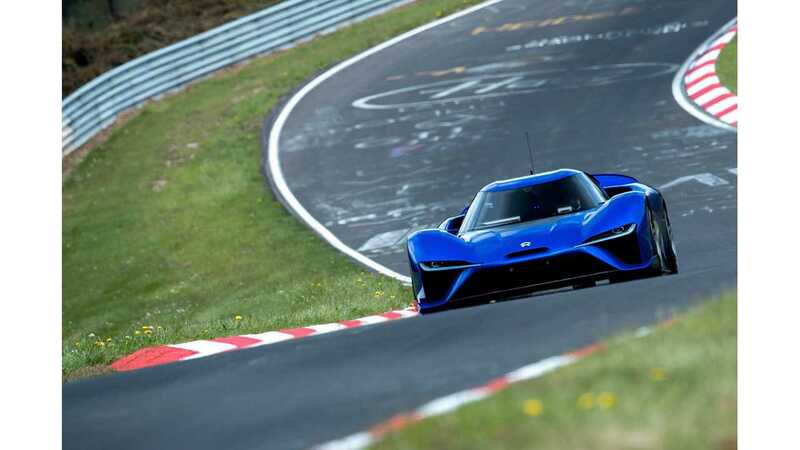 The NIO EP9 electric hypercar set a new Nurburgring Nordschleife lap record on May 12,2017, improving its previous result from October 2016 by 19.22 seconds to a road-legal record of 6:45.900 s (six minutes, 45.900 seconds)! 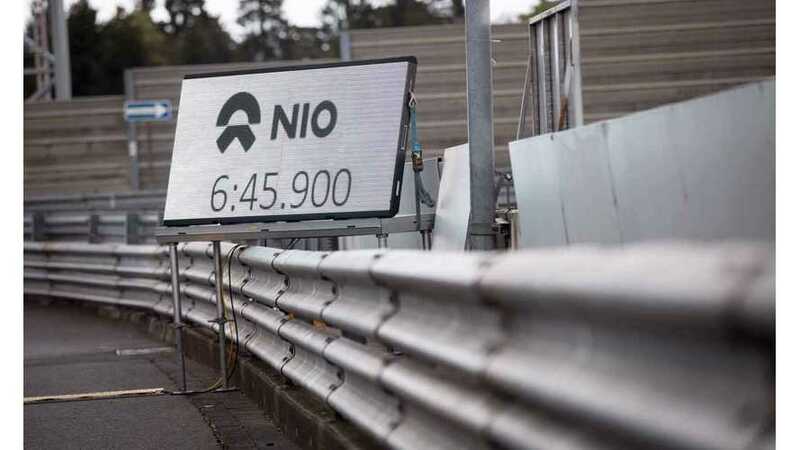 No other production car ever posted a faster lap time at the 'Ring than the NIO EP9, not even the Lamborghini Huracán Performante, that turned in a time of 6:52.01 a couple months back. NIO's time is simply amazing, but the EP9 isn't the only plug-in among the Top 5 fastest-ever laps of the Nurburging by road-legal production cars. 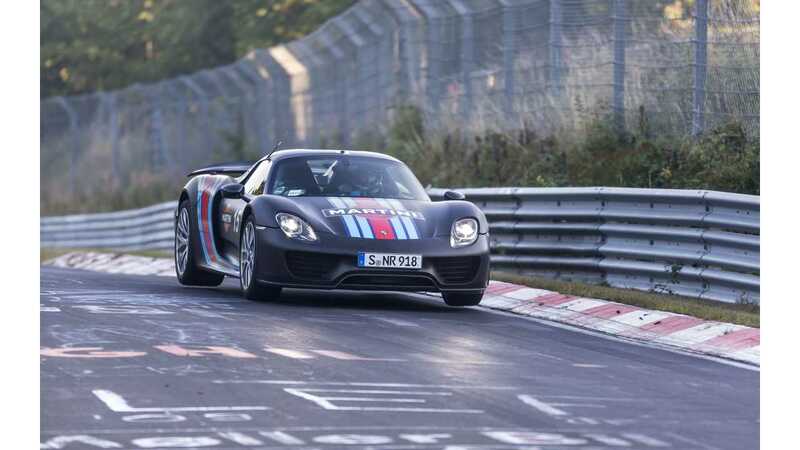 Standing in fifth place for its 'Ring time is the Porsche 918 Spyder. The 918 Spyder has a hybrid-carbonfibre construction, a combustion engine and suspension set-up donated by a prototype racing car. It has a top speed of 214 mph. So, with the new NIO EP9 time added in, we've now got 2 plug-ins in the Top 5 for best times ever at the Nurburging by road legal production cars. Oh, and in case you're wondering, the next fastest pure EV with a documented time around the 'Ring is the Toyota TMG EV P001 at 7:47.79, so the NIO's EP9 blows it away.